Can a person be depressed if their life seems perfect? What is it like inside the mind of a suicidal person? 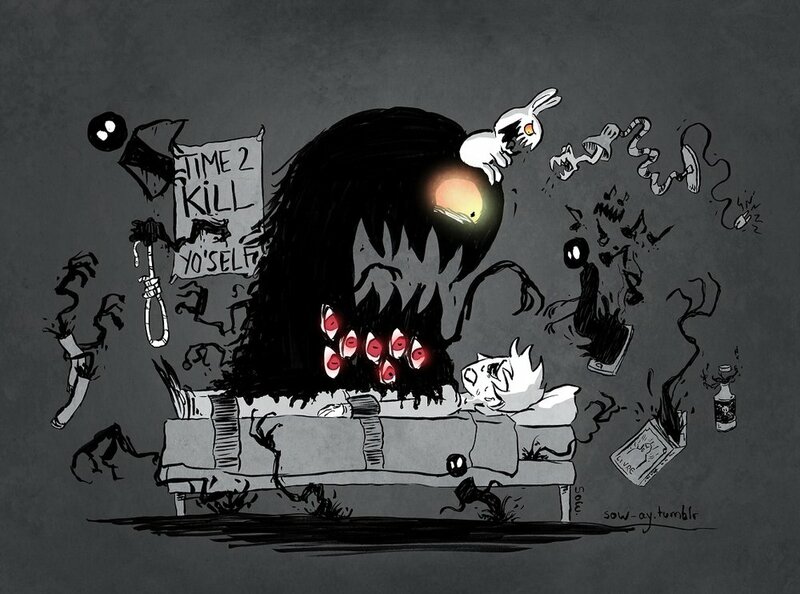 What does sleep paralysis feel like on top of depression? Below are his illustrated answers, with commentary. Depression is still a huge taboo and can affect anyone. Yes, anyone. Even the people that seem to have it all together, like celebrities, your friend, and unicorns. 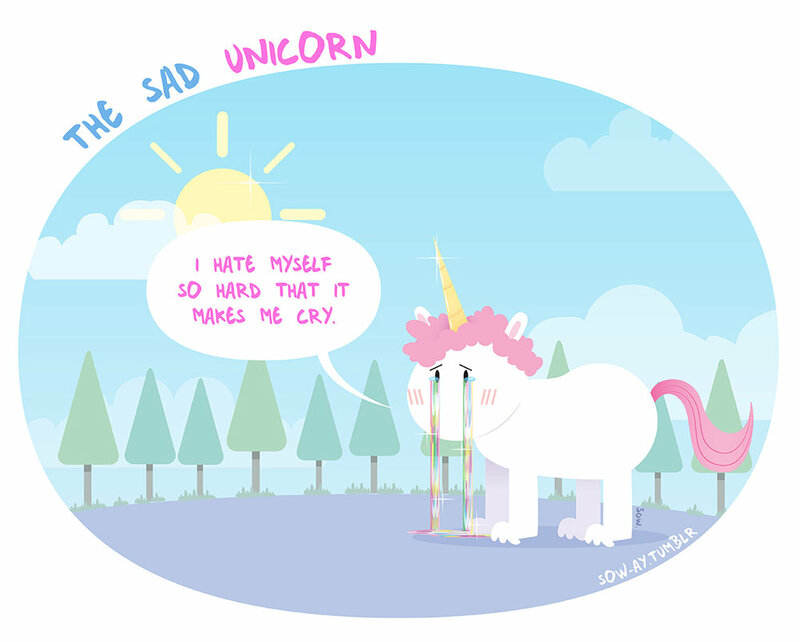 That’s why I drew The Sad Unicorn. For this one, I wanted to respond to the usual thoughts people have when they know someone suicidal. Things like we are weak, cowards, that we should think about all the people we love... etc. I wanted to try to explain what's in someone's head during suicidal episodes. I used texts because we rarely talk about this in "real life." This is a very sensitive and difficult topic, so I hope I did well! I have sleep issues and have dealt with mental illness for years. I wish I could explain how “simple” sleep issues or anxiety can affect mental and physical health. I wish I could find a way to express the sudden strong suicidal thoughts coming during a night terror, a depressive episode, or when we fight to fall asleep. Nights can be awful and I wish I could explain how hard it can be to survive one more night. I wish no one here knew how this feels. All art has been reposted with permission. To see more of Sow's work, visit his tumblr here. Did you like the post? Give it a heart! What did you think? Leave a comment below! "Becoming Your Best Self With Mental Illness"